Medvedik quite enjoyed his vacations in France. What not to enjoy? Plenty of croissants, oysters and funny -r- sounds in French language. He took long walks along the Seine looking with disgust at the occasional dead fish on the bank of the river. Medvedik preferred good healthy fish of the Arctic… which he thought will not be as healthy and tasty anymore thanks to Shell and Gazprom with their massive drilling programs. Medvedik liked the feeling of the old stone streets. It made him realize how fragile his homeland was. It could just melt and turn into water. Nothing will happen to streets like those. But to be frank he admitted that he wouldn’t enjoy living in a stone land either. His nose cought a smell of pastry and his paws turned coordinately to the cafe with fresh croissants and hot coffee. Well, in the end, Medvedik thought, nobody’s serving you coffees in the Arctic, so c’est pas mal du tout ici. 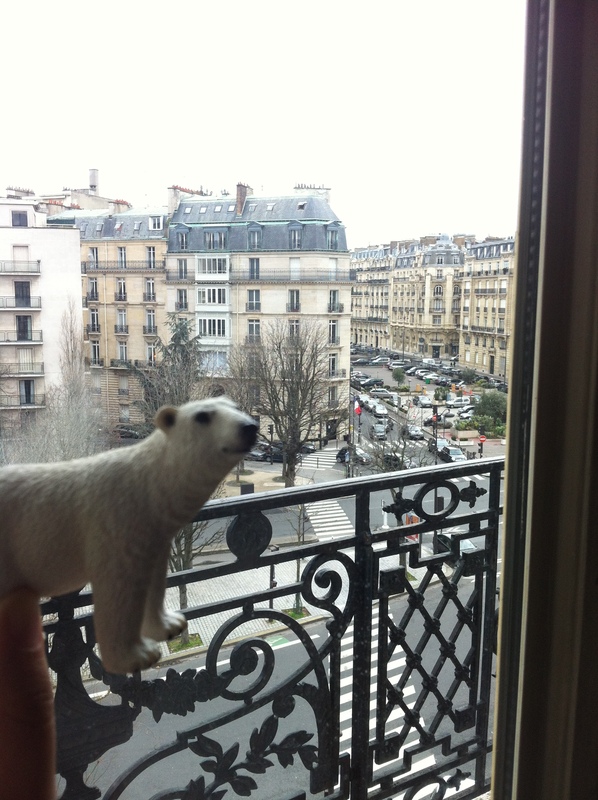 This entry was posted in France, Travelling and tagged bear, bears, france, fun, image, medvedik, paris, polar bear, toy, traveling, travelling. Bookmark the permalink.